Bára is sired by Orri frá Þúfu and Brynja frá Skarði. Brynja is sired by Merkúr frá Miðsitju who’s an ancestor of many Fet horses. 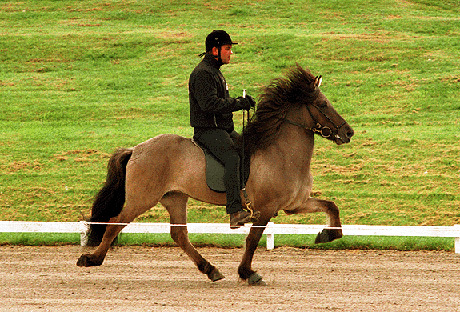 Brynjar acquired Merkús at one time but he was the son of Hervar and was widely used as a stallion. He left notable horses at Fet. Bára is the full sister to Bringa frá Feti but she received over 9 for ridden abilities. Bára recieved 8.13 in total.